Amul Creami Cheese spread is made from processed cheese and processed cheese cannot be considered to be real cheese as it contains added chemicals and preservatives. 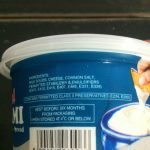 Amul Creami cheese spread is processed cheese and processed cheese contains preservatives and the artificial class II preservatives used in processed Cheese are potentially harmful when consumed frequently. foodnetindia recommends that you choose natural cheeses over processed cheese. Processed cheese is better avoided when a better, natural alternative without preservatives is available. 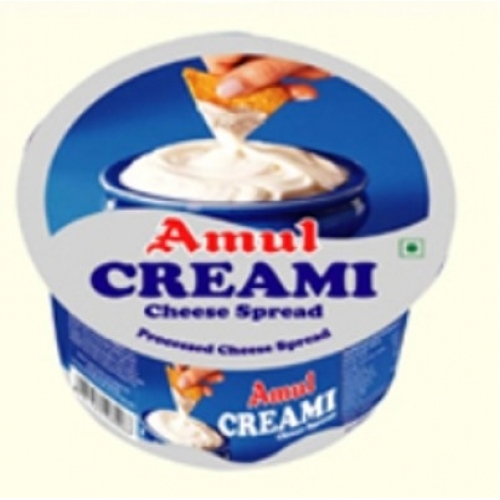 Amul Cheese has the goodness of cheese and milk and is a wholesome food like most cheeses. However, excessive amounts are not advised due to high sodium content and also because of the presence of artificial preservatives. 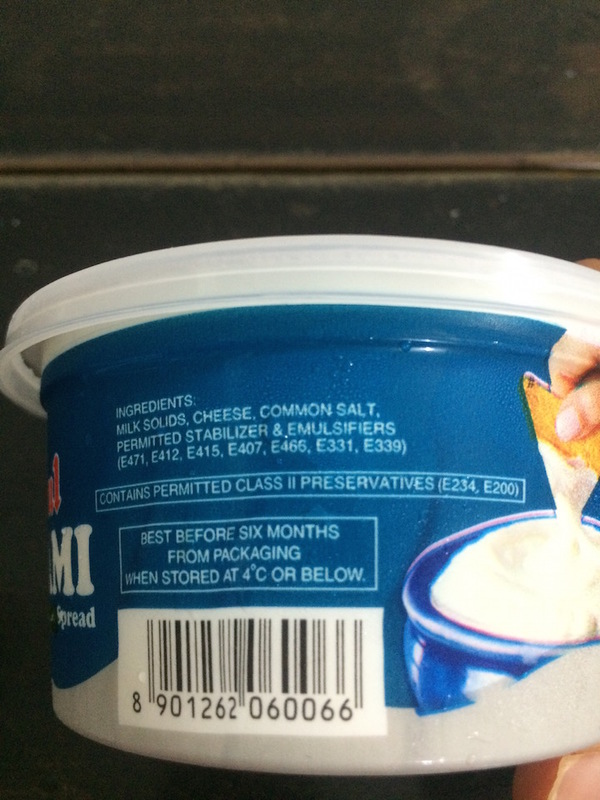 Amul Creami Cheese Spread contains 126 mg of salt per tablespoon( 15 gm ) of the product, sodium diets have been known to be the cause of high blood pressure, heart disease, etc. The recommended daily intake of salt is between 1-3 grams. It is a complex mixture of polysaccharides. IN 407(a) has a slightly different composition; moreover, it contains a considerable amount of cellulose. It is used as a thickening agent and stabiliser. No side effects are known in the concentrations used, although high concentrations bring about flatulence and bloating, due to fermentation by the intestinal microflora (in the same way as all indigestible polysaccharides). Short-chain carrageenans may cause intestinal leakage and are not permitted for use in foods. A natural polysaccharide, produced from the guar shrub (Cyamopsis tetragonolobus) found in Pakistan and India.Thickening agent, stabiliser and emulsifier. None side effects known in the concentrations used, although high concentrations bring about flatulence and bloating, due to fermentation by the intestinal microflora (in the same way as all indigestible polysaccharides). A natural polysaccharide, produced by the bacterium Xanthomonas campestris from sugar and molasses. Thickening agent, stabiliser and emulsifier. None known in the concentrations used, although high concentrations bring about flatulence and bloating, due to fermentation by the intestinal microflora (in the same way as all indigestible polysaccharides). Carboxymethylcellulose is prepared from cellulose, the main polysaccharide and constituent of wood and all plant structures. Commercially prepared from wood and chemically modified. Many different uses, mainly as thickening agent, but also as filler, dietary fibre, anti clumping agent and emulsfier. Similar as cellulose, but very soluble in water. Carboxymethyl cellulose is very soluble, and can be fermented in the large intestine. Large concentrations can cause intestinal problems, such as bloating, constipation and diarrhoea.